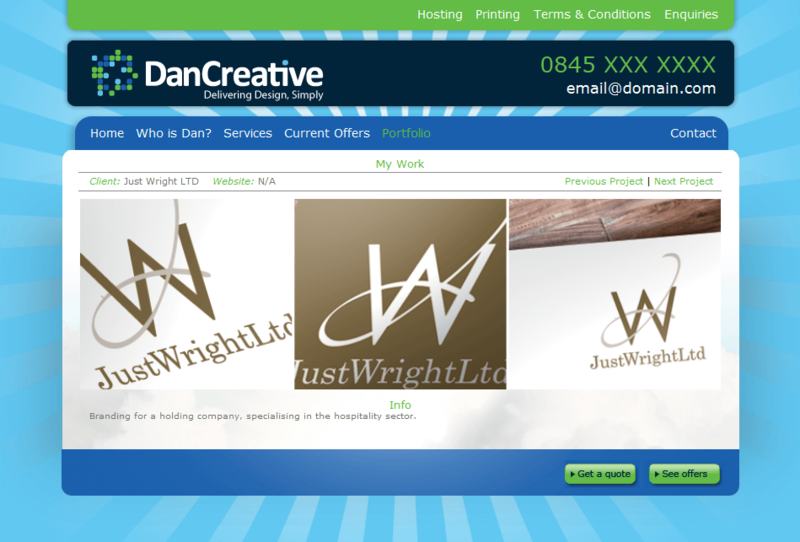 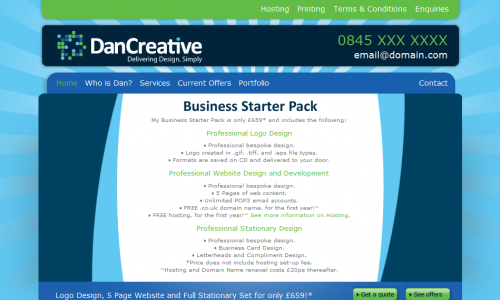 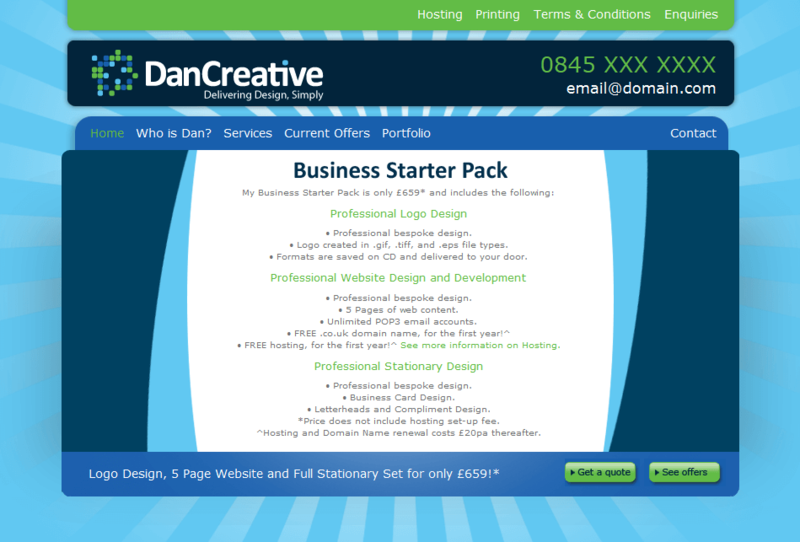 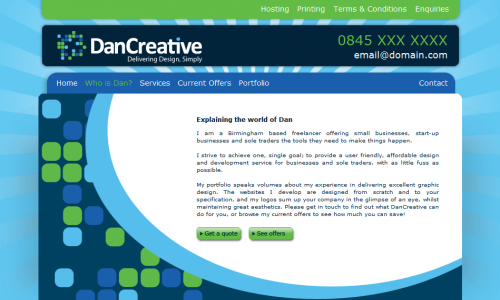 Web development of a graphic design website for Dan Sharp. 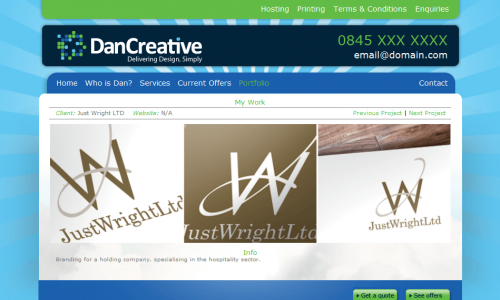 Dan Creative was a graphic design company set up by Dan Sharp, a designer I worked with on the websites for Urban Wooden Projects and Pam Hawkes. 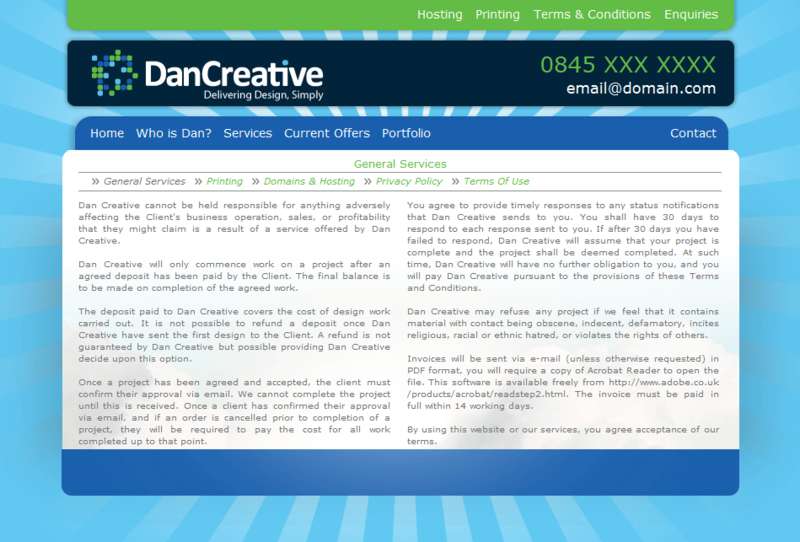 This site was designed by Dan which I then coded. 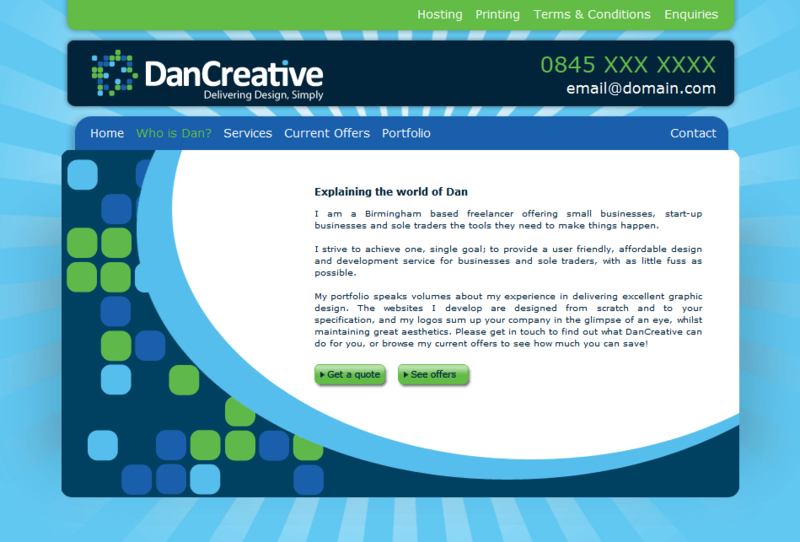 It was a dynamic site with header and footer template files allowing for quick and easy updating. 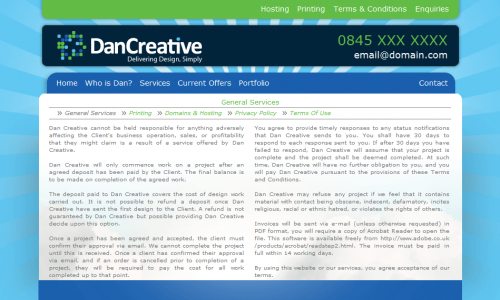 It also had a basic CMS, allowing Dan to update the content through an admin area. Due to server restrictions content was stored in text files rather than a database but the structure of the files meant Dan could update it without needing to edit HTML code.